Professor Bruce Hoffman has been studying terrorism and insurgency for four decades. He is a tenured professor in Georgetown University’s Edmund A. Walsh School of Foreign Service where he is also the Director of both the Center for Security Studies and of the Security Studies Program. In addition, Professor Hoffman is visiting Professor of Terrorism Studies at St Andrews University, Scotland. He previously held the Corporate Chair in Counterterrorism and Counterinsurgency at the RAND Corporation and was also Director of RAND’s Washington, D.C. Office. Appointed by the U.S. Congress to serve as a commissioner on the Independent Commission to Review the FBI’s Post-9/11 Response to Terrorism and Radicalization, Professor Hoffman was a lead author of the commission’s final report. 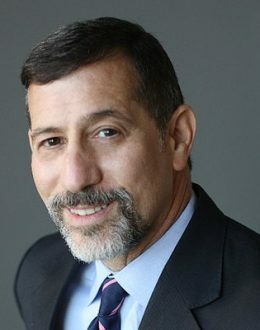 He was Scholar-in-Residence for Counterterrorism at the Central Intelligence Agency between 2004 and 2006; an adviser on counterterrorism to the Office of National Security Affairs, Coalition Provisional Authority, Baghdad, Iraq in 2004, and from 2004-2005 an adviser on counterinsurgency to the Strategy, Plans, and Analysis Office at Multi-National Forces-Iraq Headquarters, Baghdad. Professor Hoffman was also an adviser to the Iraq Study Group. He is the author of Inside Terrorism (2006). Professor Hoffman’s most recent books are The Evolution of the Global Terrorist Threat: From 9/11 to Osama bin Laden’s Death (2014), and Anonymous Soldiers: The Struggle for Israel, 1917-1947 (2015), which was awarded the Washington Institute for Near East Studies’ Gold Medal for the best book on Middle Eastern politics, history and society published in 2015 and also named The Jewish Book of the Year for 2015 by the Jewish National Book Council. Anonymous Soldiers was also cited as a best book of the year by the St Louis Times-Dispatch and the Kirkus Review and an “Editors’ Choice” by the New York Times Book Review.